Canada's ambassador to China now says he regrets making comments earlier this week that suggested Meng Wanzhou, the Huawei executive detained in Canada on a U.S. extradition request, has a strong case that her arrest was politically motivated. "I regret that my comments with respect to the legal proceedings of Ms. Meng have created confusion. I misspoke. 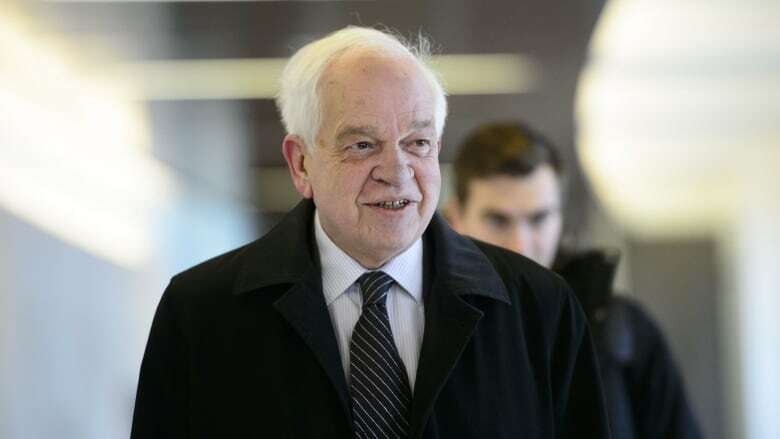 These comments do not accurately represent my position on this issue," John McCallum said in a statement. "As the government has consistently made clear, there has been no political involvement in this process." Ever since Canadian law enforcement detained Meng in early December on a U.S. extradition request, the Liberal government has maintained that Canada was simply following the rule of law by adhering to its commitments outlined in the extradition treaty it has with the U.S.
That position took a serious hit Tuesday when McCallum told a select group of Chinese media outlets that Meng has a strong case that her arrest was politically motivated. "I think she has quite good arguments on her side," he told reporters during the news conference in Markham, outlining three areas where the U.S. extradition request could be challenged. The first was focused on U.S. President Donald Trump's comments last month: the president suggested he might intervene in the case if it would help the U.S. on the national security front or in its efforts to negotiate a U.S.-China trade deal. Second, the ambassador argued there was "an extraterritorial aspect to her case" — without explaining how that makes Meng's case different from every other extradition request a foreign government makes of Canada. Lastly, McCallum noted that Canada hasn't signed on to the U.S. sanctions Meng is accused of trying to avoid. "So I think she has some strong arguments she can make before a judge," he said. On Wednesday Conservative Leader Andrew Scheer condemned the remarks, telling CBC News Network's Power & Politics that if he was prime minister, he would have fired the ambassador for the misstep. Speaking to reporters after an announcement in New Brunswick today, Prime Minister Justin Trudeau dismissed the call for McCallum's dismissal, saying it would be counterproductive. "Our focus is entirely on getting those Canadians home safe and making sure that all their rights are respected ... Making a change would not help release those Canadians a day sooner," Trudeau said. David Mulroney, a former Canadian ambassador to China, told CBC News Network's Power & Politics today — before McCallum withdrew his remarks — that Trudeau should personally reject McCallum's remarks to counteract the confusion they're causing in China and Washington. "I can appreciate that the prime minister doesn't want to do damage to his ambassador, but he really does have to correct the record and walk back from some of the things that Mr McCallum said." Mulroney said he does not think McCallum was trying to send some clever message to the Chinese but was simply being clumsy — and committed the cardinal sin of allowing people to think the Canadian judicial system is susceptible to political interference. "What I think might happen, and should happen, is that the government looks to its bullpen," Mulroney said. "It looks to the next ambassador and that maybe there is an early transfer in the late spring or the summer. "I think we're beginning to have to look at this ambassadorial tenure as an experiment that hasn't worked out as well as its authors hoped."